Specialists in older and hard to find collectable toys. 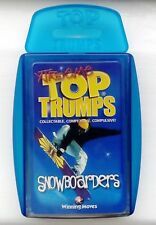 Brands include Top Trumps, Star Wars, Marvel, Lord Of The Rings, Tomb Raider and many more! Top Trumps - DC Comics Who's The Strongest?